The good news is that you are in the right page now. Backupping file is a great option to restore files once there is a system failure or crash. 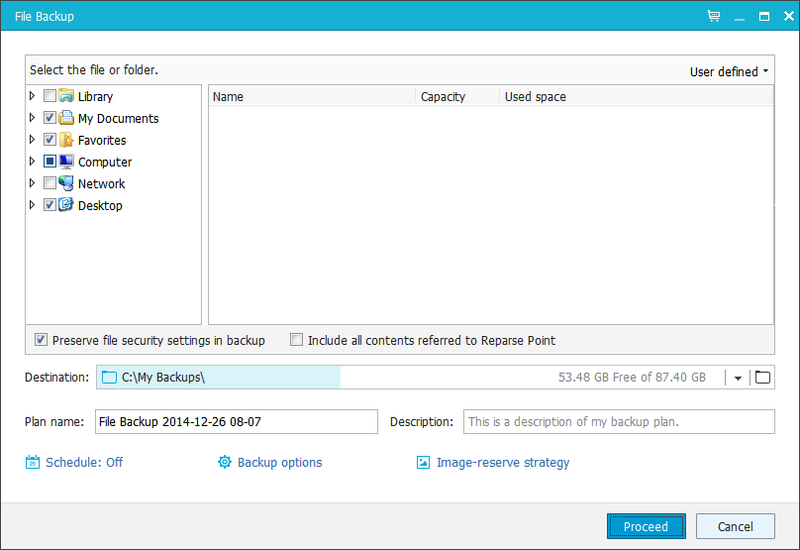 Backup files is just way easy to configure: Just install this backup utility tool from EaseUS — EaseUS Todo Backup Home, a comprehensive data backup software solution. It will backup entire system's current state, data files, partitions, and full disks, and eventually restore PC from hard-drive failure or crashed — saves important photos, mp3, movies, and documents either on the separate hard drive or to secured drives. For great features, you need to invest small price for the peace of mind about your price — and you will never regret. 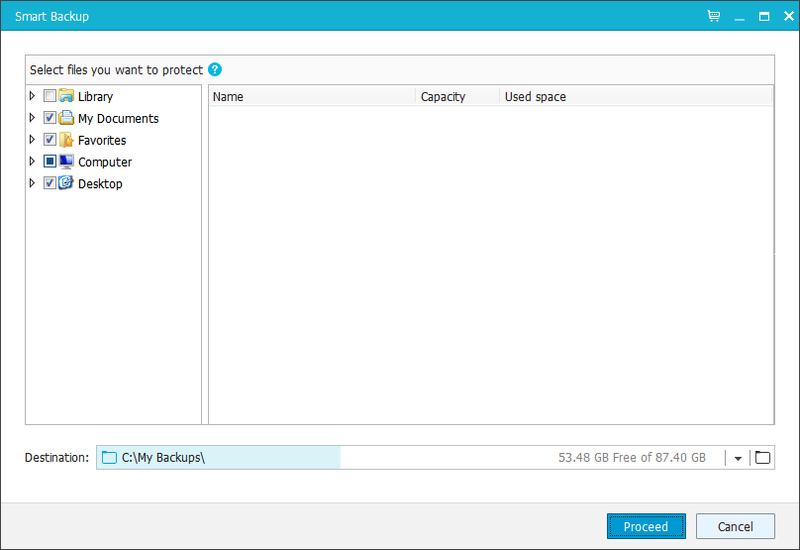 WHY YOU SHOULD BUY PC EASEUS TODO BACKUP SOFTWARE? Generally, the best PC backup software are those of premium type. Although, there are still lot of FREE applications that have the best options to save important files, but premium applications have great edge over the free ones. 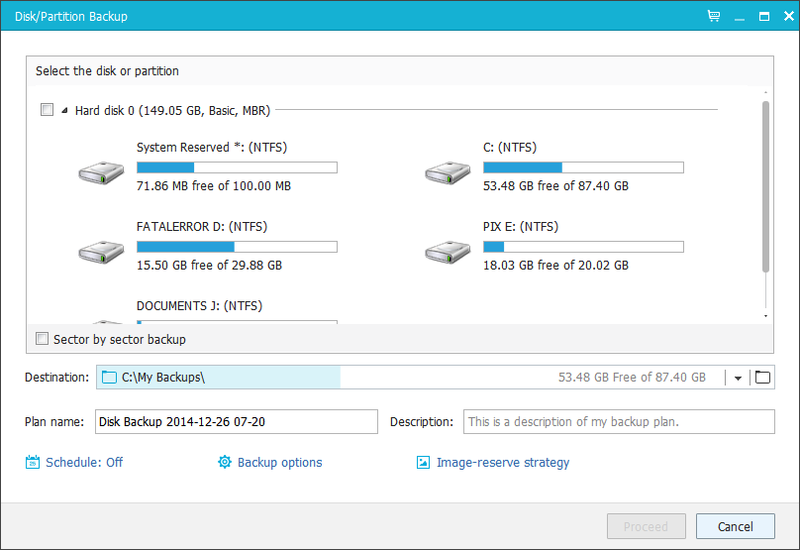 If you are looking for a backup solution for your PC system, I will recommend you to start with EaseUS Todo Backup Home. 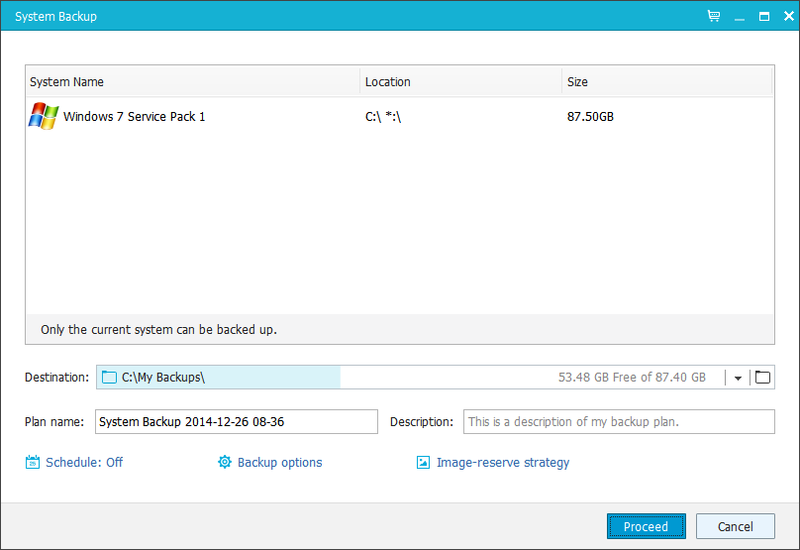 Compare to its competitors, EaseUS Todo Backup Home is cheaper, but provide similar great features. 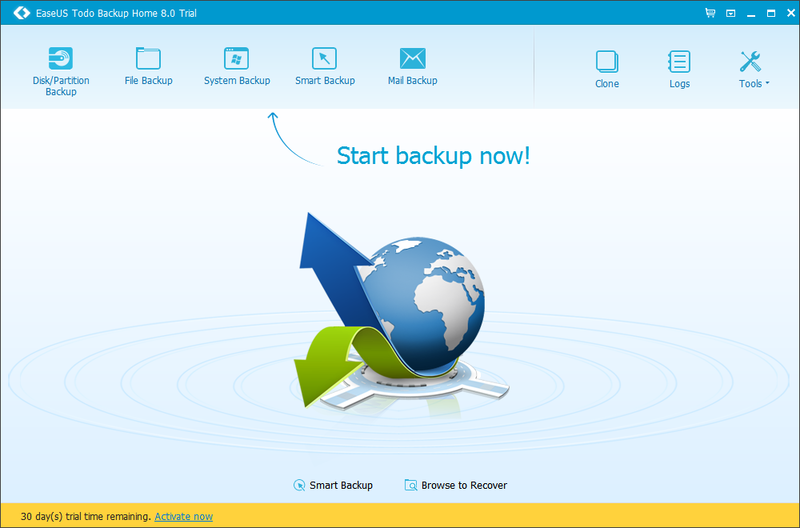 EaseUS Todo Backup Home is a powerful, very comprehensive, easy to use & intuitive GUI, reliable & secure backup and recovery solution software that enables users to backup files and restore it to the original state when a system fails or crashes. It supports Windows-based OS: XP, Vista, 7, 8, and 8.1. Incredibly, 50% cheaper price than its competitors. Okay let us walkthrough with its interface. 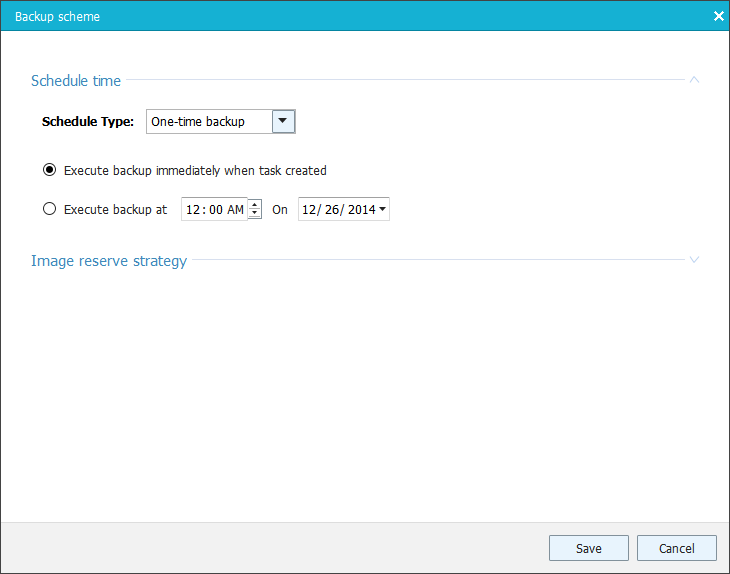 EaseUS Todo Backup Home has a simpler GUI that a non-geek users can certainly understand. The good thing about it also is, it has a Schedule, backup options, and image-reserve strategy. Schedules are great feature you can use. It will choose you what type of schedule you opt to use. Type: One-time backup, daily, monthly, and upon event. for business establishment, scheduled to be daily is super great feature. I remember one time working with this private sector that the program will save daily which is tedious part of the admin. 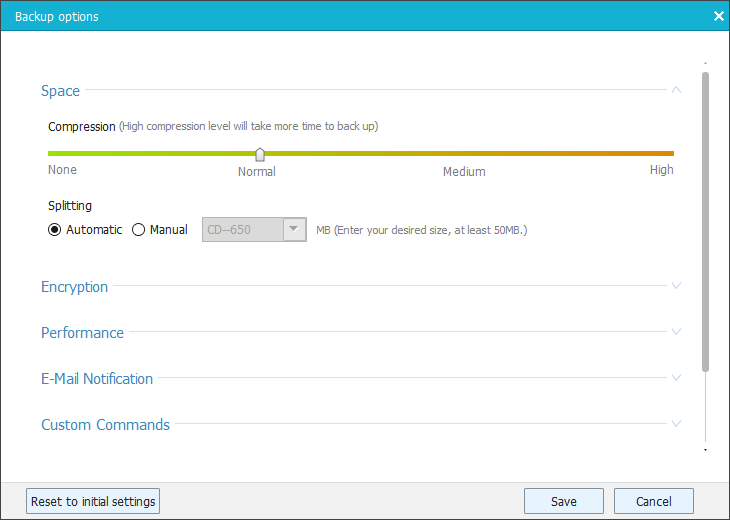 In the backup options, you can set compression to normal, medium or high. 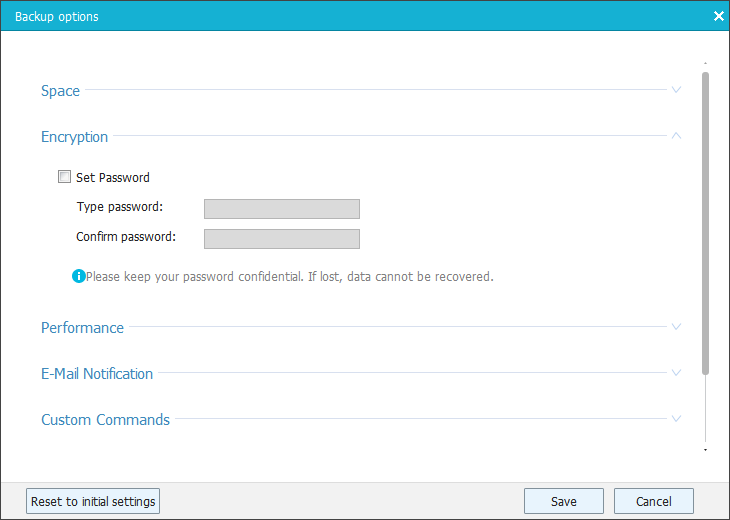 It has a split option to that is very useful when securing very large file. For those companies or individuals that have sensitive data files, this feature encryption is very convenient, secure, and useful way. NOTE: if you lost or forgot the password, data cannot be RECOVERED. 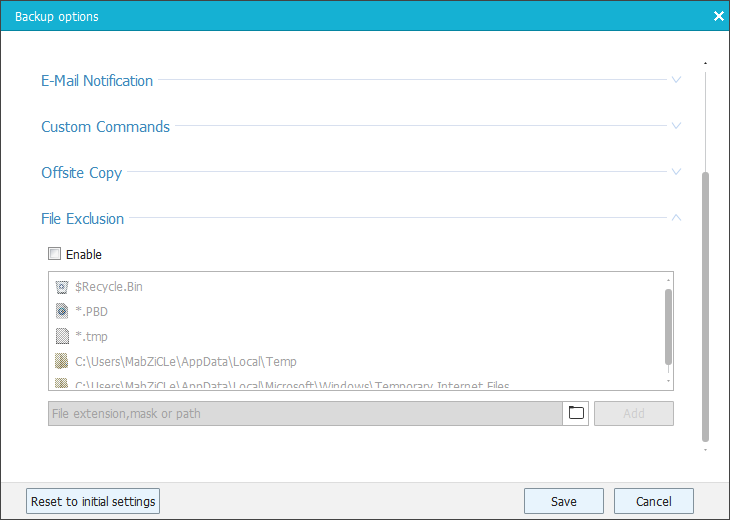 Custom commands: This is highly advanced options; leave it if you don't know what to do. 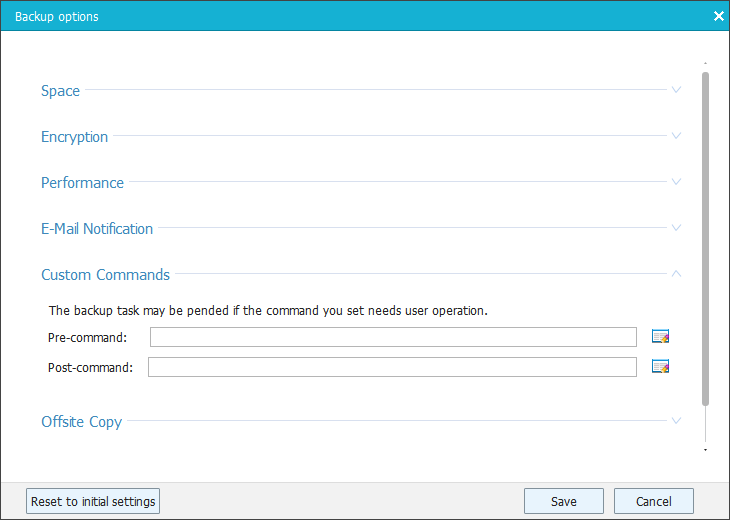 Basically, it is a backup task that a certain user set a commands for operations. Pre-command and Post-command. 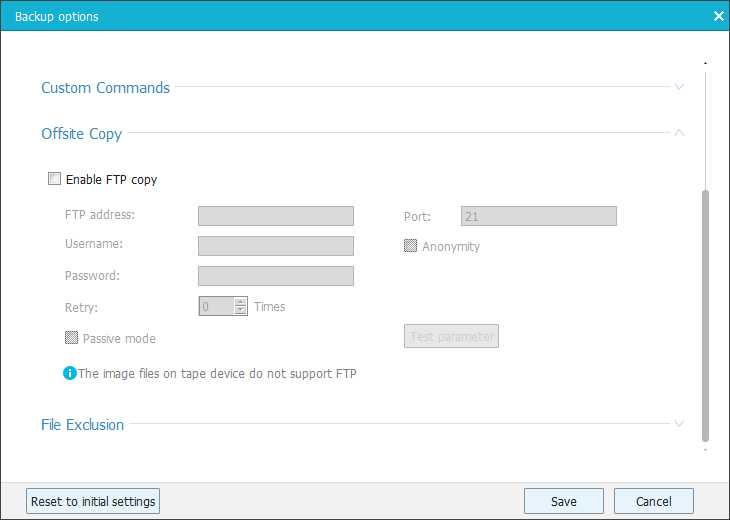 Offsite copy: If you have webhost, you can store your backup files via FTP. Note: Image files on a tape device don't support FTP. File Exclusion: Sometimes, temporarily files are not necessarily to be secured or backup. The FILE EXCLUSION feature is another useful feat that you can exclude files that you know it is not very important to include in the backup process. EMAIL Notification: Backup process is consumes great time. 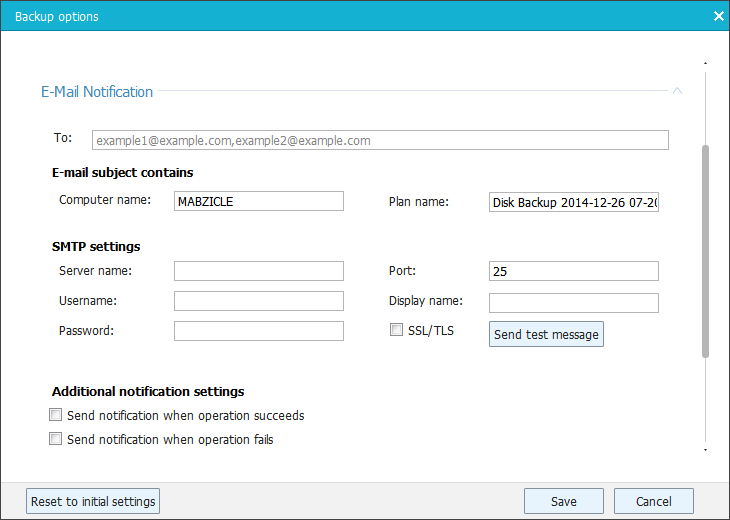 If you backup files and you have work to attend, this email notification solves the problem. You will know if the backup process is successful or failure. Performance: If you do multi-tasking, setting performance to low is a great way. 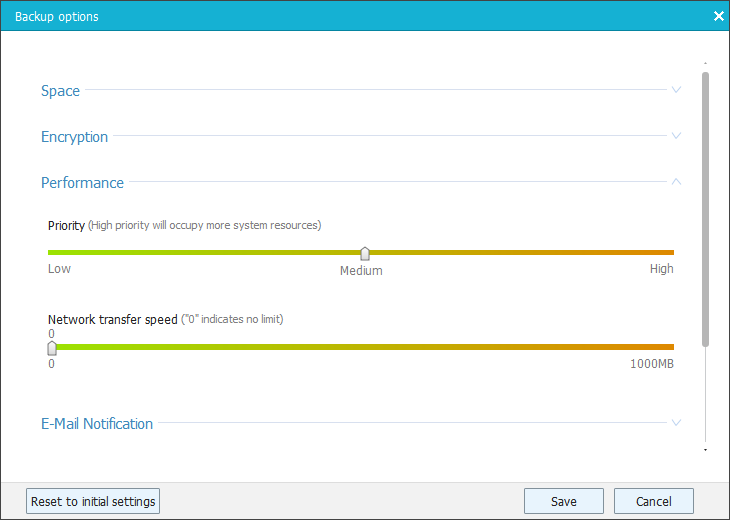 The current window you are working in your pc will not be lagged or distracted — it is fast too. This is NOT an image files like jpeg, png, bmp, and gif. This is an IMAGE file for the backup. 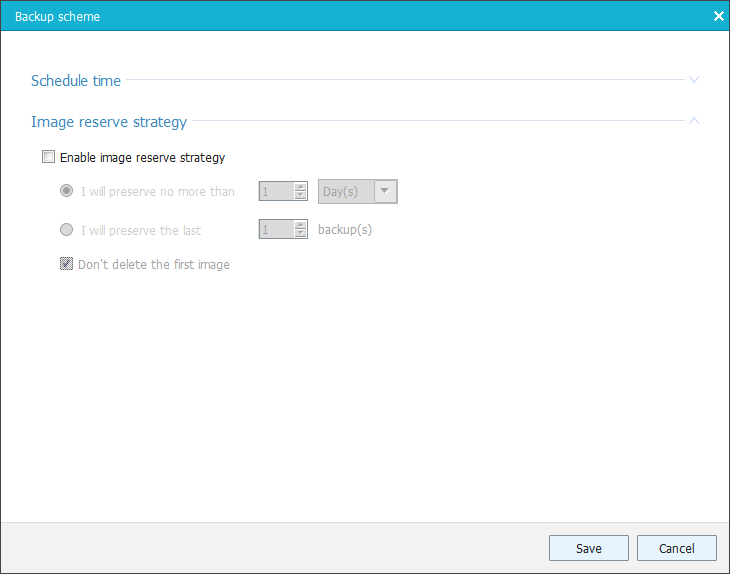 Image-reserve strategy is quite very useful and important feature. It will save space if you backup more days. Of course, you will restore the latest backup, and you can set not to preserve more than days(s). Indeed, you can backup file-level selectively and specifically. You can backup files with specific folders which includes network shared files. Again, you can save it to other location or network. You can even name and put description to it. Backup full and current system (just WOW) which can be recovered when system crash or failure. Back up all emails in Outlook Express or 2003/2007/2010. Now you can use OUTLOOK email. I have error on the Outlook because I didn't install it. 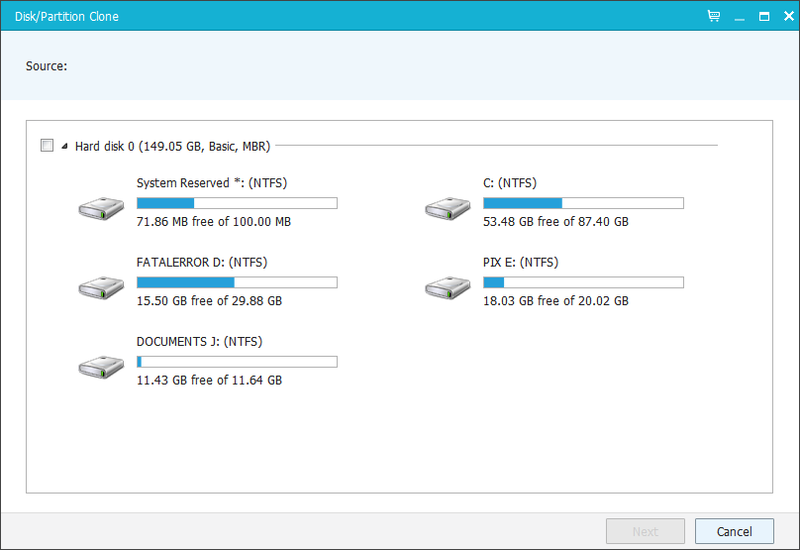 You can clone and safely migrate system to an SSD or a bigger HDD for disk replacement or upgrade. You can specifically choose which drive you want to clone. Check Image - Basically checks backup image file. 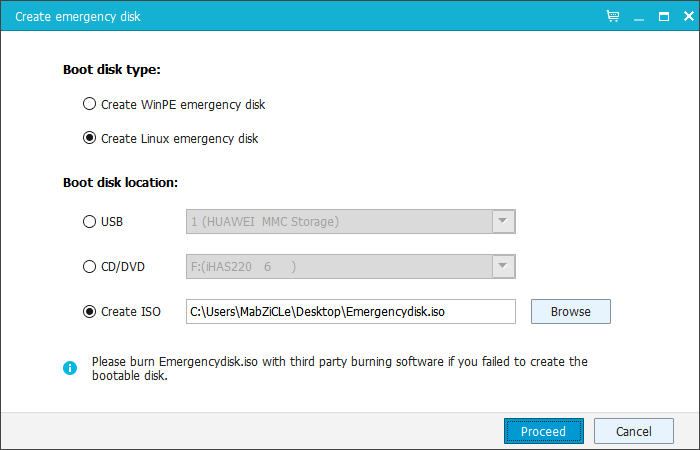 Create a WinPE or in Linux Emergency disk to bootable media for Windows/Linux system resided on GPT to start up PC recovery in case of emergency. Note: In creating bootable disk, you need to create iso and use third party burning software to burn and become a bootable disk. In near future, I hope EaseUS will provide burning feature on ISO to create bootable disk just like in PowerISO. 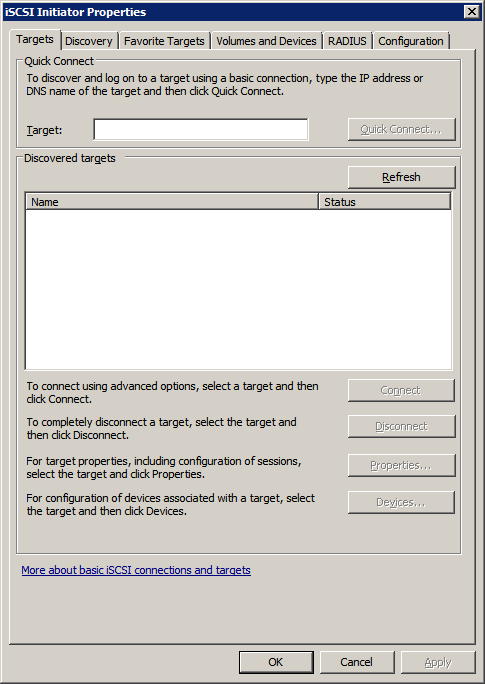 Microsoft® Internet iSCSI Initiator enables you to connect a host computer that is running Windows® 7 or Windows Server® 2008 R2 to an external iSCSI-based storage array through an Ethernet network adapter. You need to enable its service before using it. It will enable you to backup files and connect to a host computer. 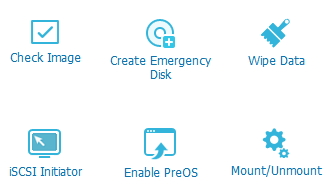 Most of the time, your system won't boot because of some hardware and software problems, with this EaseUS Todo Backup, you can choose and select EaseUS from boot menu to launch its PRE-OS then recover your system. Really! This is quite astonishing feat! I do recommend to use this EaseUS Todo Backup Home to backup, recover, and secure sensitive and important digital files to save to other drives. EaseUS is a refutable and trusted company. I trusted to use their comprehensive DATA recoverer program for years.